But for the Greatcoats, nothing is ever that simple. 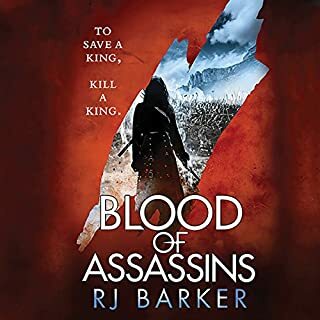 In the neighboring country of Avares, an enigmatic new warlord is uniting the barbarian armies that have long plagued Tristia's borders - and even worse, he is rumored to have a new ally: Trin, who's twice tried to kill Aline to claim the throne of Tristia for herself. With the armies of Avares at her back, led by a bloodthirsty warrior, she'll be unstoppable. Falcio, Kest, and Brasti race north to stop her, but in those cold and treacherous climes, they discover something altogether different, and far more dangerous: A new player is planning to take the throne of Tristia, and with a sense of dread the three friends realize that the Greatcoats, for all their skill, may not be able to stop him. The all too predictable culminating battle mars an otherwise fabulous finale’ to this wonderful series ! One of the better endings to a fantasy series. Lots of heroism but sans cliches. Some achingly beautiful recognitions at the end. I couldn't help but be moved by these wise cracking smart added magistrates. Whoever thought a fantasy series about judges would be so deep? Imagine if the Starks were lawyers instead of grim warriors in the frozen north. The characterizations were deeply individualized and poignant and the chemistry between the main characters feels genuine and not forced. 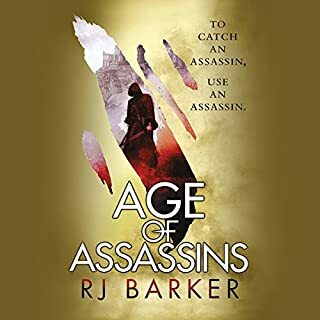 I'd been looking to read a novel with a new swashbuckling hero. I found several in The Greatcoats Series and I binged on all four books. I loved the camaraderie, honor and daring of the central characters. Though there were portions in the books that were a bit repetitive with backstory, I loved them just the same. If you loved the Three Musketeers you'll find The Greatcoats their equal and then some. 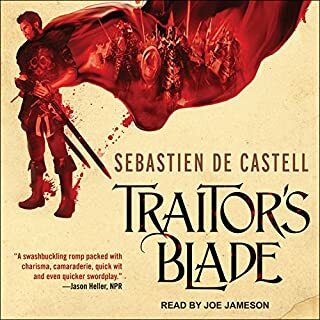 Sebastian de Castell is now on my favorite authors list; and Joe Jameson among the best narrators. 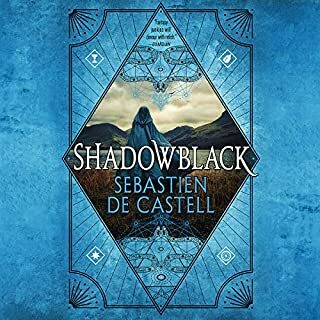 I highly recommend the series and as an aside, after I finished I went on to read the Spellbinder series by de Castell; another terrific read. At parts this book was a struggle, just because Falcio's embrace with darkness was just very uncomfortable. But despite this I enjoyed the book and more importantly, felt satisfied with the ending. Which is a rare feeling. Once you start this you'll lose sleep. 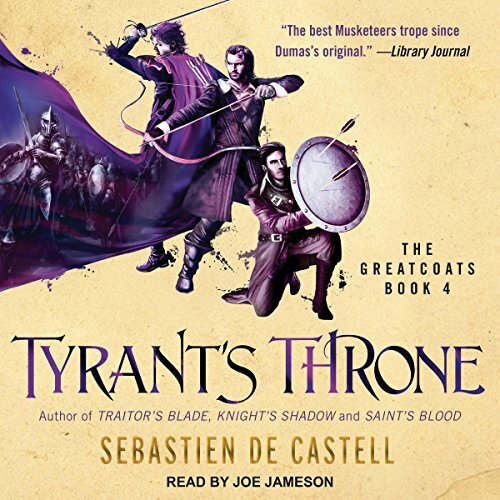 When I started this series with "Greatcoats" I could not put this down. It's an exciting and captivating series from the 1st word to the last. I kept checking the time left, hoping it would not end yet. 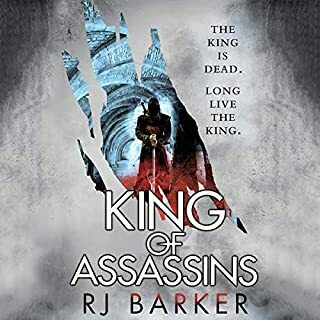 Beyond 5 Star's from both author and narrator. this series has been unbelievably amazing. 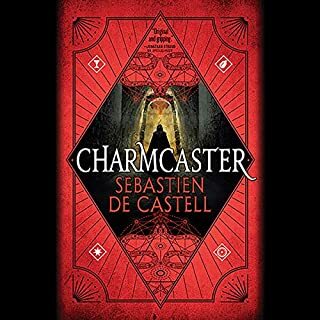 not only is the narrator the absolute best I've ever heard, , but the stories are always complex and intriguing. it's such an emotional rollercoaster in each book. this particular book kept me wanting more until the end...and even now that I'm finished I crave more. two thumbs up all the way. the characters will grab your heart and imagination and take you for quite the ride. While it dragged a bit in the first half, the second half was much improved. a wonderful conclusion to a wonderful book. If I could go back into time to listen to this for the first time again, I would. I loved this series.